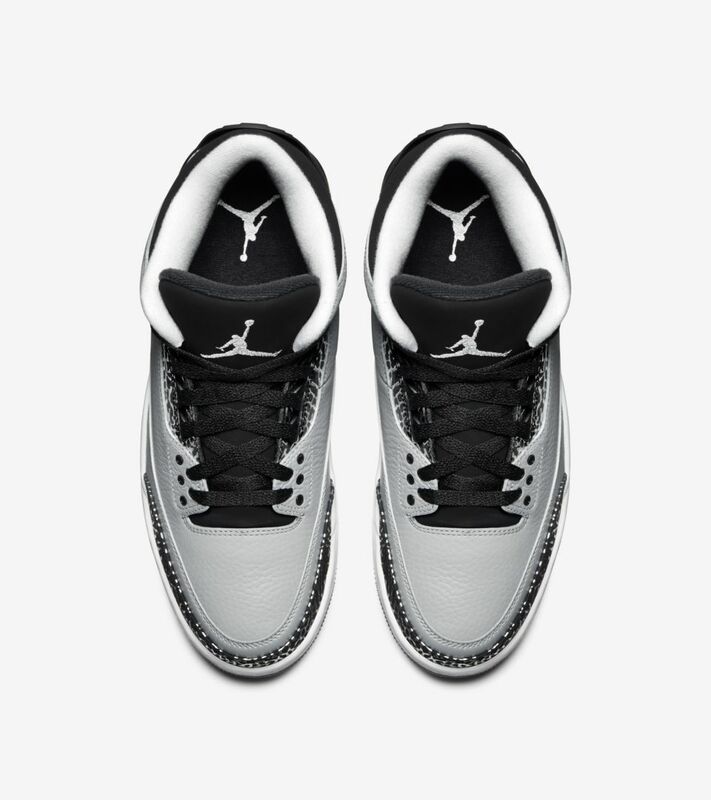 The 1988 legend is back in modern fashion. 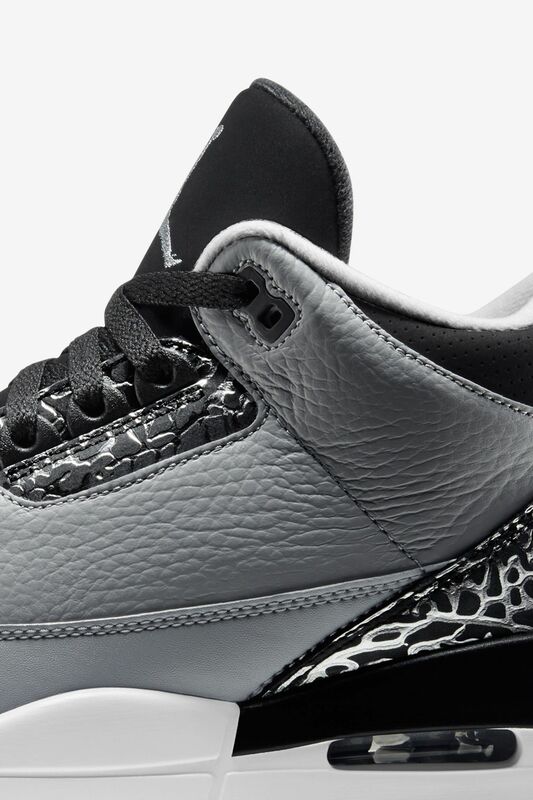 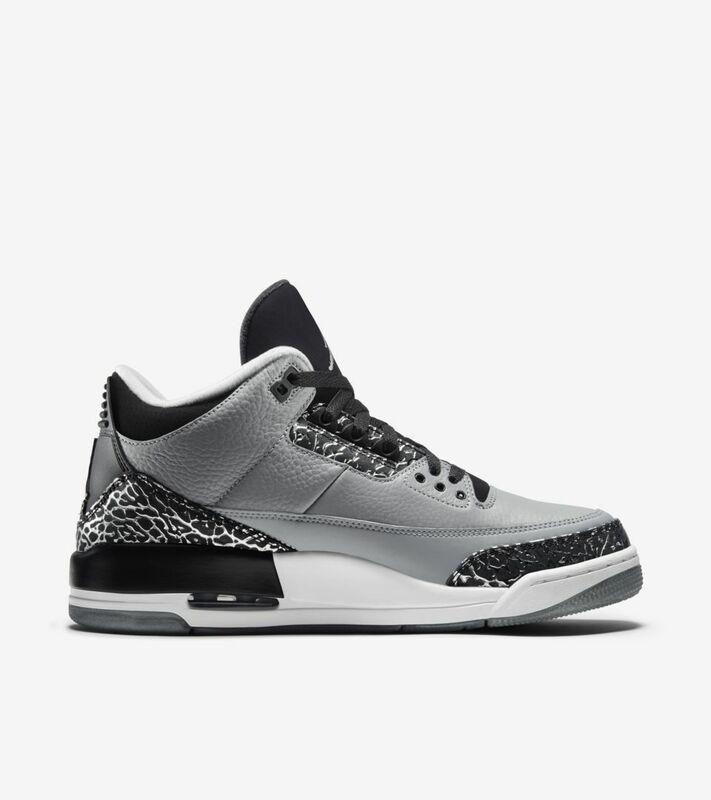 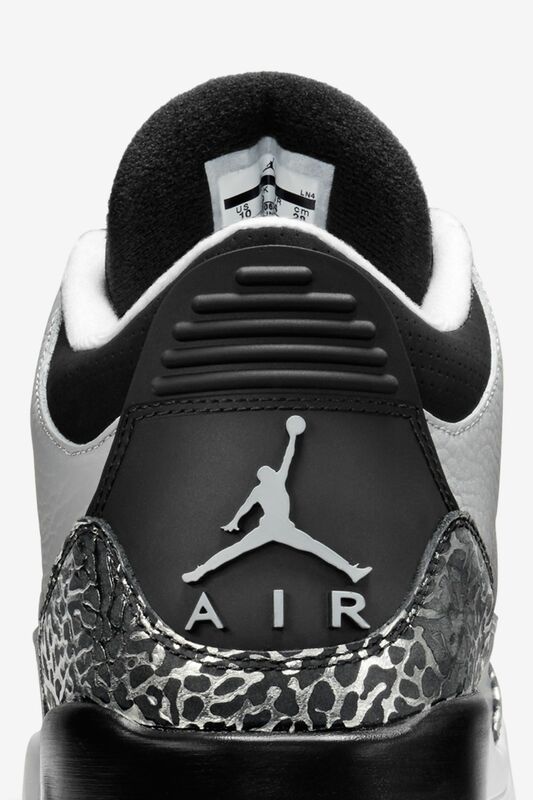 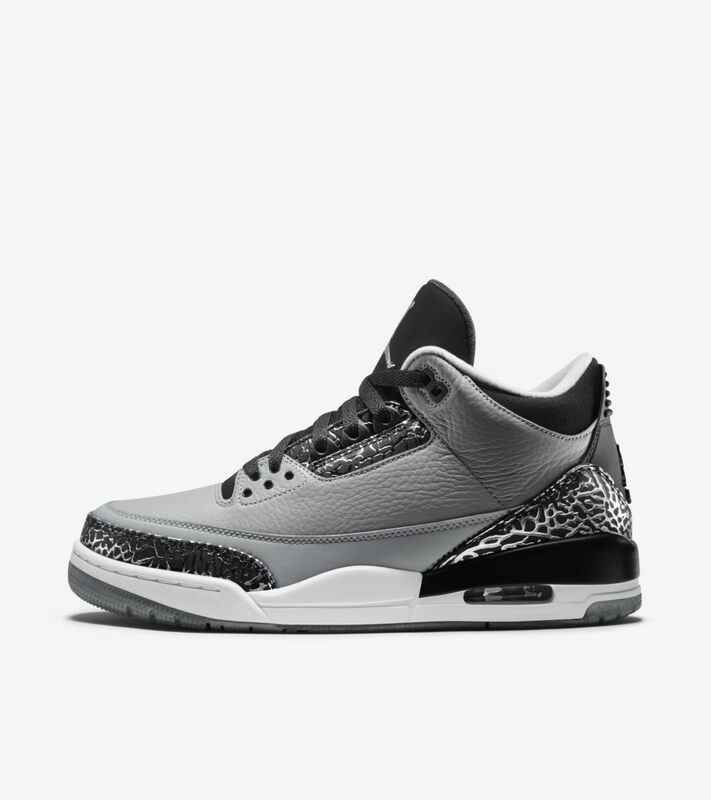 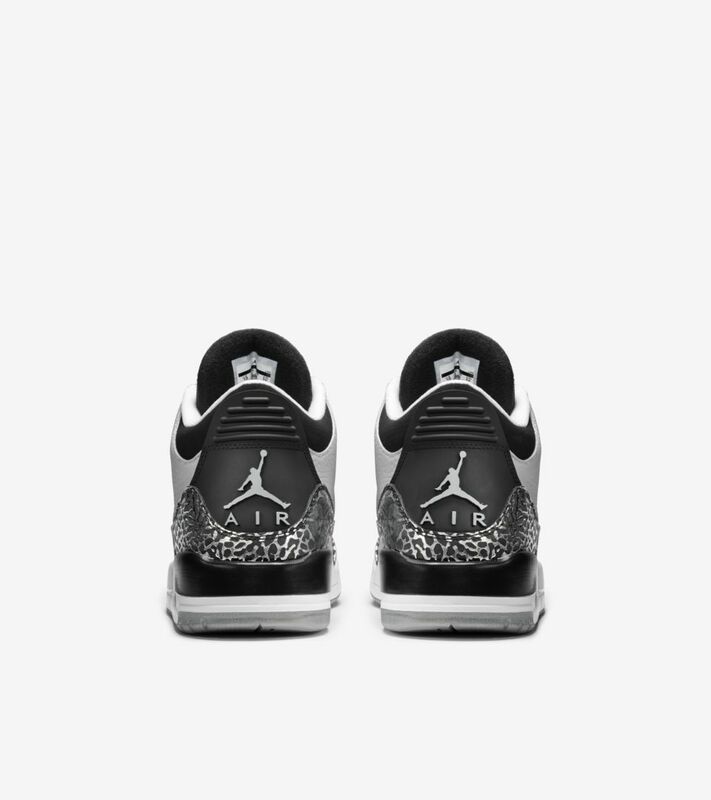 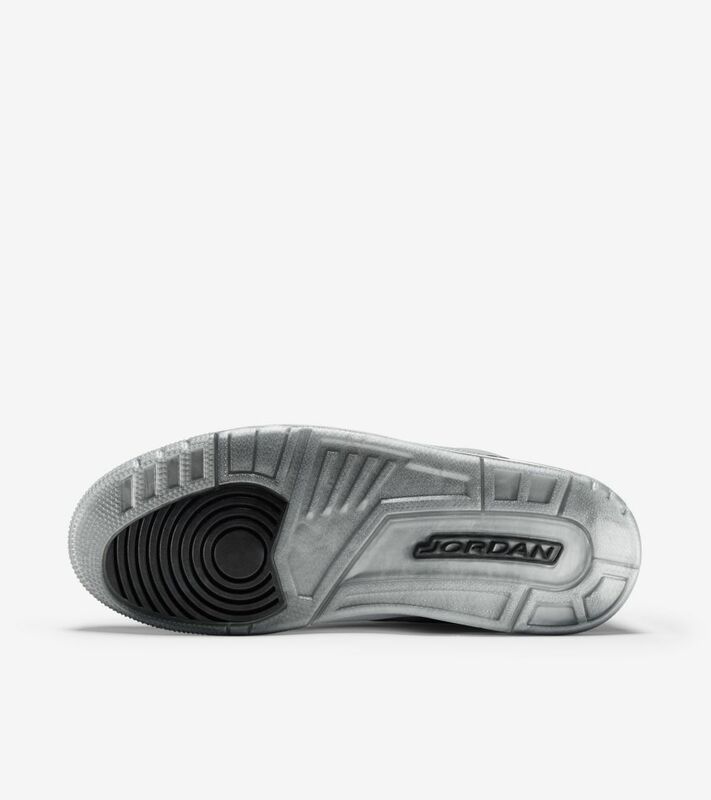 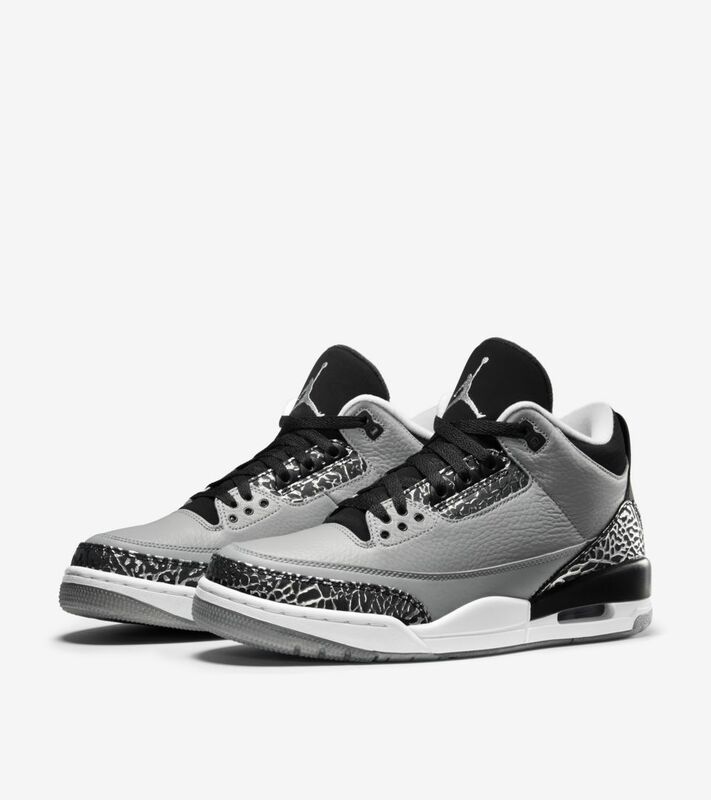 The Wolf Grey upper of the new Air Jordan III comes in both tumbled and smooth leather, while the classic elephant print gets a Metallic Silver treatment on the eyestay, toe and heel piece. 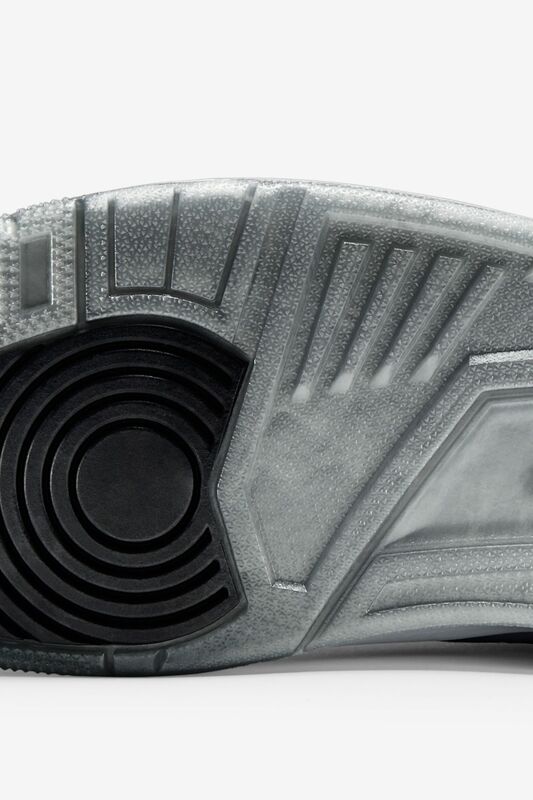 A visible Air-Sole unit in the heel harks back to classic on-court style.